Welcome to GoodLot Farmstead Brewing. We are the first farm-to-barrel brewery in the Greenbelt – Ontario’s finest agricultural region. 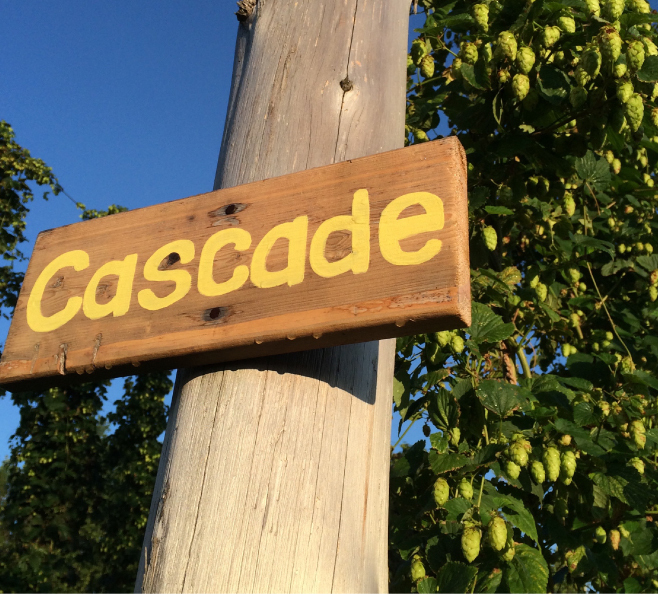 We make fresh, super-local, estate-quality ales & lagers, using ingredients raised on our own farm. 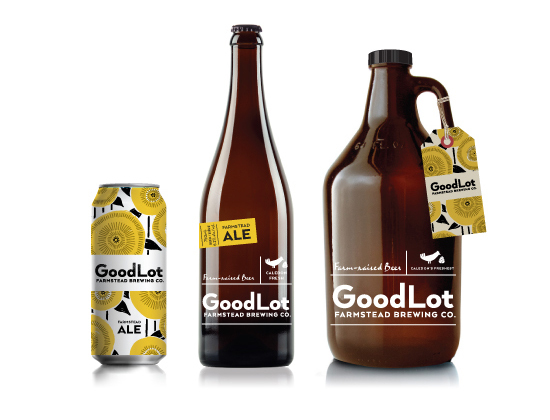 GoodLot Brewing is a natural extension of our organic farm. We embrace a holistic approach to agriculture to produce quality, nutrient-dense ingredients. Our beer, inspired by Mother Nature’s bountiful canvas, embodies our values to protect our water, promote soil health and biodiversity, and whole-heartedly support our community every step of the way. We like big belly laughs while we work and dancing in the fields. This is the GoodLot Mantra. GoodLot was established in 2011 as Winterbrook Hops Farm. 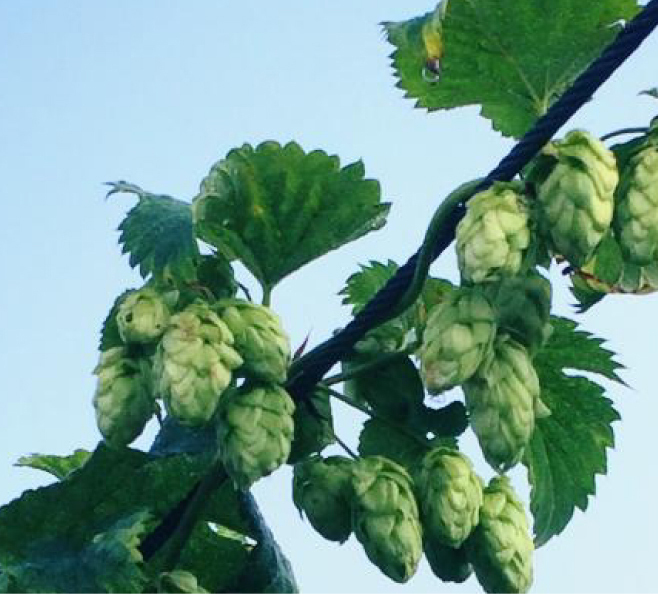 We use hops grown on our farm (Cascade, Nugget, Willamette, Mount Hood, Fuggles & Goldings) in combination with locally grown grains and other ingredients grown on and around our farm to create truly local Caledon ales and lagers. Easter Weekend: We are open Friday + Saturday 12p – 6pm. We are CLOSED Sunday + Monday. Have a great long weekend! Thanks to all who’ve dropped by our Farm Bottle Shop so far. It’s been amazing to meet folks, talk beer and share our creations. Our Bottle Shop is just that. A place to try samples, get growler fills and purchase cans/bottles. On May 16th our Beer Garden/Patio will open and serve 12 oz pours. A Food Truck will be on site seasonally from May 16th to Oct 14th. This is a traditional German lager, known to be dark, malty and lightly hopped. This beer has been lagering in tank for 12 weeks at low temperature. Copper coloured, malt forward beer with a dry finish, brewed with Magnum hops for bittering and Hallertau hops for aroma/flavour. Hops from Clear Valley Hops. Based on our flagship Farmstead Ale, the malt bill is the same, however we doubled the hops. A big flavour bomb, all about hops and bitterness using Ontario cascade and nugget hops. Beautiful smooth finish. Inspired by British “Special Ales” this has a touch more hops and bitterness than a traditional version. This malty aroma has notes of chocolate, with subtle bitter flavours and a dry finish. Deep copper in colour. Aromas of caramel and spice. Flavours of Christmas pudding, pine and citrus. A dry bitter finish. A unique beer brewed with a now extinct hop, Hop X, from Clear Valley Hops. Due the its unique but unknown parentage, this hop has been eradicated. We have the last lot of this hop, so when we use it all up we will no longer be able to duplicate this recipe. This Caledon pale ale was brewed here on the farm, based on our flagship Farmstead Ale. This is our version based on our water profile, all other ingredients (malt, yeast and hops) remain the same. This is a dark, full bodied porter. Well balanced with notes of chocolate and coffee. Approachable and easy drinking. Unique in the porter world, as we only use Ontario cascade hops. Our Flagship, Farmstead Ale, an American Pale Ale 6.2% ABV, can be found in Restaurants and Bars in and around Southern Ontario. From Caledon to Collingwood, and Stratford to Toronto. It can also be purchased at select LCBO’s in the same geographic region. Please contact us if you’re looking for a specific location or would like further details about our beer offerings and pricing. 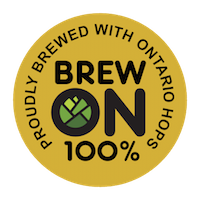 Proud member of BrewON, featuring Breweries, who create recipes that use all-Ontario hops. 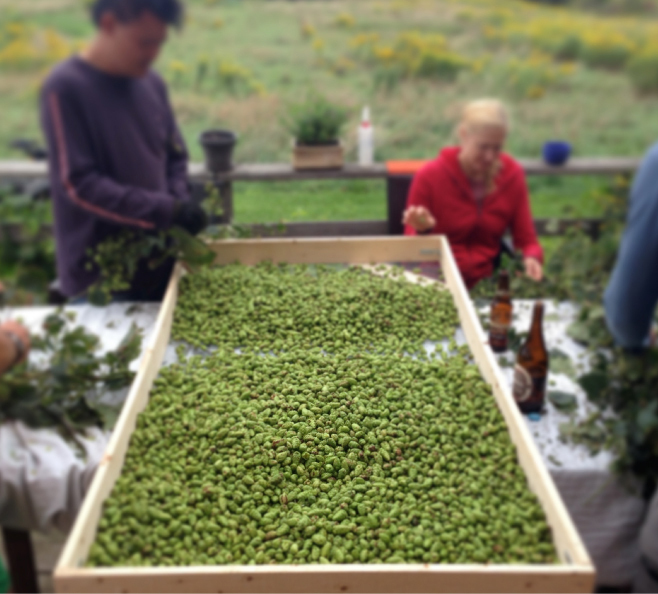 All of our beers, so far have been made with the use of 100% Ontario Hops. Look for the BrewON Logo if you’re seeking a truly local taste. The folks at GoodLot are community builders, always striving to expand the circle for all to share. We love creating deeper connections with our neighbours, other farmers and brewers, and are seriously grateful for good beer, good laughs and the dirt under our nails. L – R: Raina Milnes, Gail Winters, Zac Tremaine, Ryan Brownrigg, Jordann Murray, Phil Winters, Steve Fruitman. We have found our Farm Intern for the 2019 Season. Thank you to all that applied. [email protected] your resume and availability. Note: We are closed Easter Sunday. 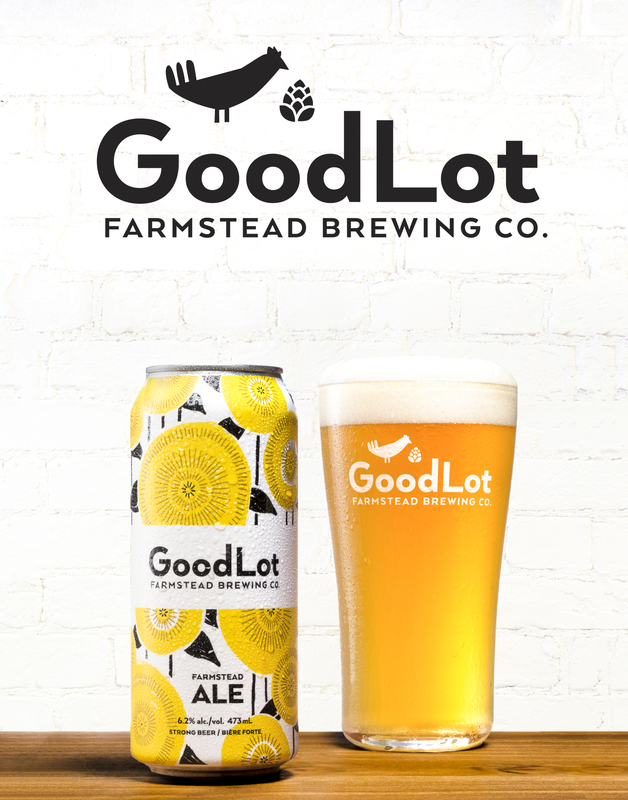 © 2019 GOODLOT FARMSTEAD BREWING CO.